Italian archaeologists have been searching for the long-lost tomb of Cleopatra for 12 years, according to Egyptian Minister of Antiquities, Dr. Zahi Hawass. They are not alone in their search. Dominican archaeologist, Kathleen Martinez, also searches for the elusive queen's burial chamber near Taposiris Magna near Alexandria. She believes that Egypt's last ruler lies entombed next to her beloved, Mark Antony. You can read more about her incredible journey here. 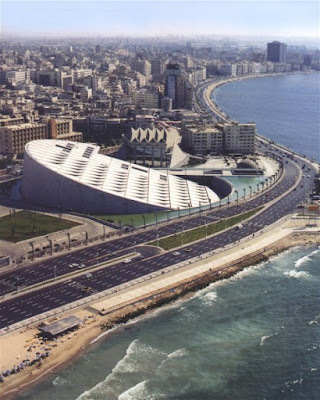 However, a leading Italian newspaper jumped the gun recently by announcing that Cleopatra and Mark Antony's tomb had been found, misinterpreting a speech given by Hawass in Italy, where he stated that if their tomb was found, it would be an incredible find. Hawass is certainly correct in his assessment. In fact, one can almost understand the Italian media's jump to conclusion. Cleopatra VII remains one of the most popular, mysterious, and misunderstood figures from ancient history and certainly the most well-known female from the period. 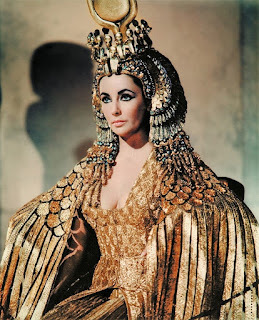 She has been the subject of many books and movies, most famous of which is Elizabeth Taylor's 1963 Hollywood-style portrayal of the Egyptian queen in the movie, Cleopatra, shown below right. 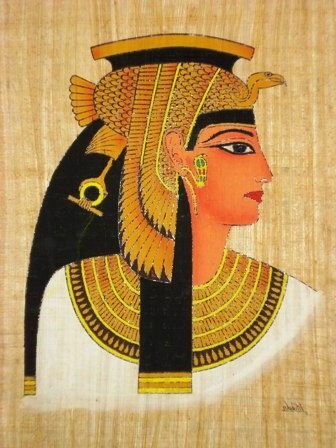 Historical writings about Cleopatra are sparse. Plutarch's biography of Mark Antony comes the closest to a narrative about the queen. Unfortunately, it was written 100 years after her death. Another source is Cassius Dio's account in Roman History. However, it was the Roman poems written after her death that vilified Cleopatra as a conniving and grasping seductress, a foreign queen who used strange means and a hyper-sexuality to ensnare and bewitch not only Mark Antony, but also Julius Ceasar before him. This characterization is highly suspect and almost certainly false to a large degree. More recent scholarship about Cleopatra reveals a highly educated, multi-lingual, charming woman (but no raving beauty), who was strategic, and certainly ruthless. Then again, she had to be. She was a queen in a king's world, after all. Perhaps, her wits attracted Caesar and Antony rather than some all-consuming sexual spell she cast on them. In fact, Cleopatra may have been an intellectual breath of fresh air for the two men who would have been accustomed to (and perhaps bored with) relatively subdued and subservient Roman female aristocracy. 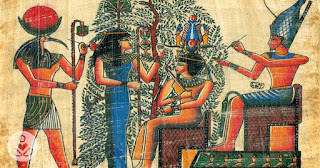 What they found in Cleopatra may well have been an equal, if not better, companion and confidant. Moreover, when it comes to ancient history, the victorious in war write the histories about the defeated. The Romans were masters of using this tactic to belittle and demean the peoples they conquered. When Cleopatra and Mark Antony were defeated by Octavian (later known as Augustus, first emperor of Rome) at the Battle of Actium in 31 BCE, and then she and Antony both later committed suicide (or so the story goes), the truth about Cleopatra was left to the mercy of contemporary Roman poets who had no incentive to portray her in anything other than most negative light possible to curry favor with Augustus. Yet, despite being defeated in battle by Augustus, Cleopatra's popularity today eclipses his. Next to King Tut, she might well be the most famous person from Egyptian antiquity. 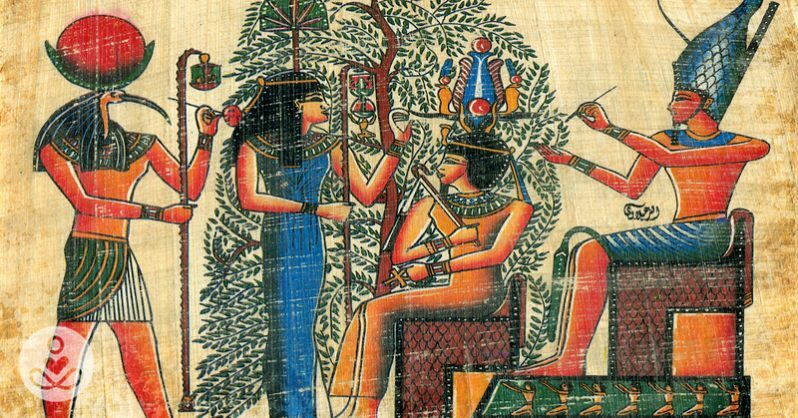 If Cleopatra's tomb is discovered, it will be the most incredible find since Howard Carter discovered King Tut's tomb in 1922. We ancient history (and Cleopatra) enthusiasts can only wish archaeologists luck in their search. Let us hope they find her. 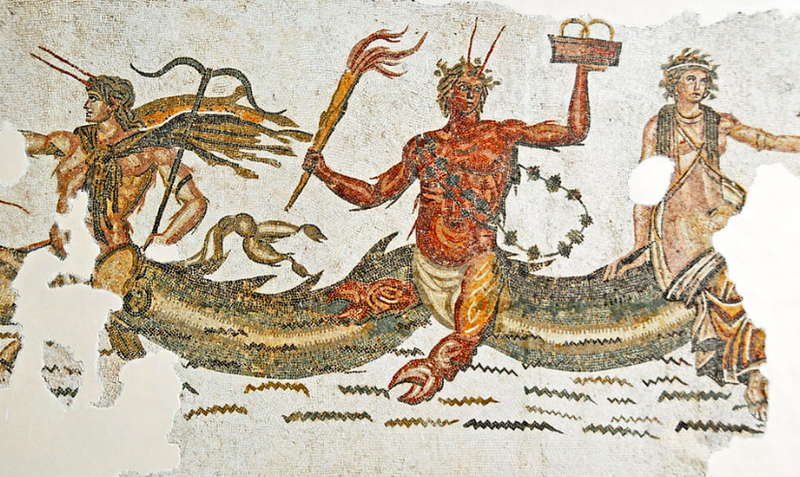 Mythology Trivia Challenge - Can You Name These Lesser-Known Greek Deities? No Cheating! 4. God of the North Wind? 5. God of Opportunity, Luck? 6. The nothingness that all else sprung from? 7. God of the East Wind? 11. God of Strength, Power? 12. God of the South Wind? 18. God of Rivalry, Envy, Jealousy? 19. God of the West Wind? 20. 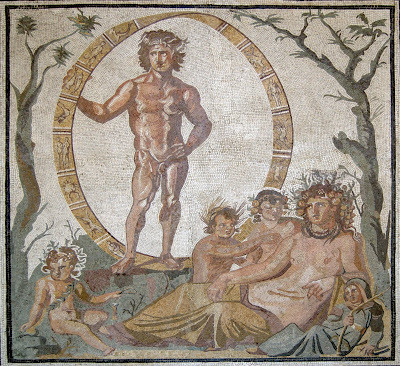 BONUS QUESTION: Who was the "Father of all Monsters" in Greek mythology? Typhon. The last son of Gaia, Typhon was considered the deadliest of all monsters in Greek mythology. He is typically represented as a dragon-like, serpentine creature. He was the god of monsters, storms, and volcanoes. In the war between the Titans and the Olympians, Typhon challenged Zeus for dominion over Mount Olympus. 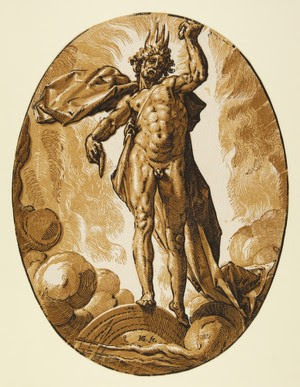 Zeus defeated Typhon and banished him to Tartarus. Later, Hercules was asked to kill Typhon as one of his 12 Labors. 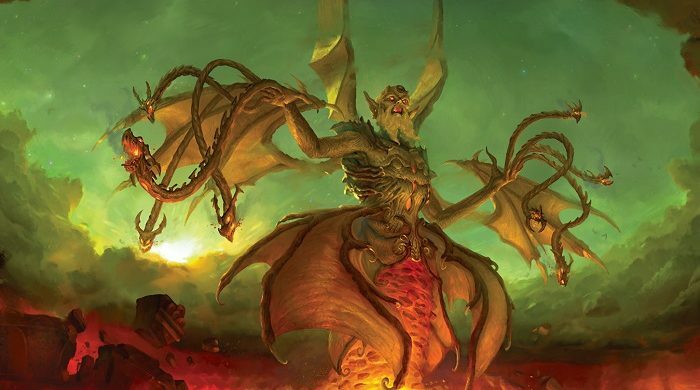 Below is an artist rendering of Typhon, depicting him as a giant, winged creature with dragons for his fingers. One of the more popular articles posted on this site was the article entitled, Owls In Mythology, Folklore & Superstition. As it turns out, many of you are big fans of owls and let's face it, as birds go, they are definitely interesting. 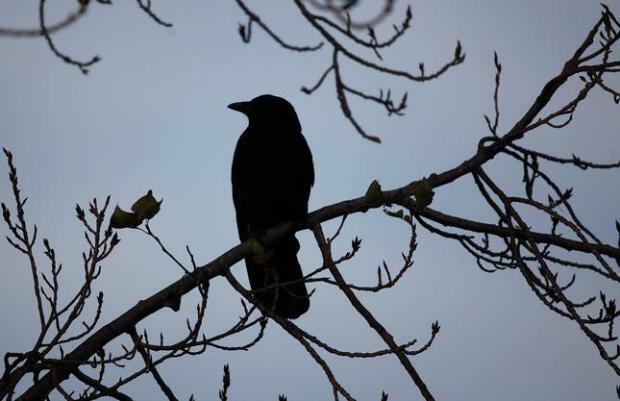 Considering the popularity of that article, this author thought it might be worthwhile to post another article about a different bird, or in this case, birds - crows and ravens - and to discuss their role in mythology, folklore, and superstition. Crow or Raven - What's the Difference? Although they come from the same family (Corvus) and look quite similar, crows and ravens are two, different birds. Crows tend to be smaller than ravens, and ravens have a decidedly more raggedy look about them. Both birds can vocalize in a number of different ways, but ravens tend to have a deeper sounding call than crows. Even today, crows and raven can still evoke feelings of fear and trepidation in us. They are often an iconic figure featured in our popular culture around Halloween. They have also been written about in classic works of literature and poetry. Perhaps, the best-known example is The Raven, a terrifying poem by Edgar Allan Poe. Even before Poe, Shakespeare characterized the birds as harbingers of evil and doom in Macbeth and Othello. However, the characterization of crows and ravens in literature has not been universally grim. In Aesop's fable, The Crow and the Pitcher, for example, the crow presents as a bird of both cunning and intelligence. The crow finds himself in a deserted land, looking for something to drink. He comes upon a pitcher of water, but his beak is too short to reach the water. Knowing that if tipped over the pitcher, the water would spill out onto the ground, the crow devises a plan whereby he throws pebbles into the pitcher until the water level rises to the top, and he is able to drink. In this way, Aesop presents the crow as an ingenious bird. The crow has also been portrayed in modern films, such as The Crow by Alex Proyas, where the crow is featured as having magical abilities, like the ability to bring a dead soul back to life. Even the English language gives us a clue as to the beliefs associated with crows and ravens. Collectively, a group of ravens can be referred to as a "conspiracy" of ravens. Groups of crows are given even more evocative descriptions, such as a "murder" of crows, a "cauldron" of crows, and a "storytelling" of crows. What is it about these birds that brings to mind such ideas? For thousands of years, both birds have played a significant role in the mythology, folklore, and superstitions of many cultures. 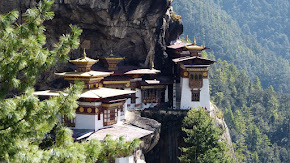 In some cultures, they were viewed as omens of ill fortune. In others, they were revered (or feared) as messengers from the gods or a form certain gods would take on when visiting the mortal world. Still others viewed them as tricksters of which one should be wary. Regardless of whether these birds were viewed positively or negatively, they feature prominently in many, ancient belief systems, systems that may continue to influence us to this day. According to the ancient Celts, for example, the warrior goddess known as The Morrigan or The Morrighan (meaning "great queen," "terror," or "phantom queen") was said to appear in the form of either a crow or a raven or was accompanied by them, usually in groups of three. Seeing a group of three crows or ravens signified that the goddess may be watching. The Celts believed that The Morrigan was also present when crows and ravens collected on the battlefield to feast on the flesh of fallen warriors. In other Northern European cultures, particularly in Britain and Wales, crows and ravens were viewed as an evil portent, and they were often associated with witches and witchcraft. By contrast, in Norse mythology, Odin, the chief god in the Norse pantheon, is often portrayed with a raven or a pair of them. In the Eddas, a collection of Icelandic literary works from which much Norse mythology is derived, this pair of ravens are named Huginn and Muinnin. At daybreak, Odin sends the pair into the mortal world to observe what was going on. They would then return and whisper to Odin everything they had learned. They were Odin's spies. 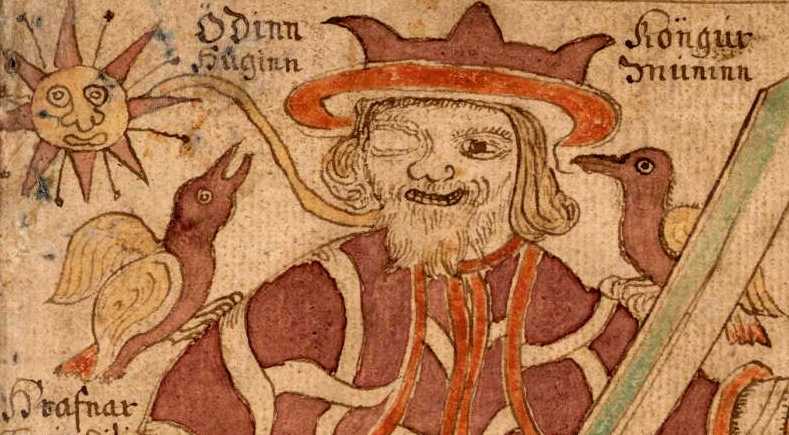 At the same time, Huginn and Muinnin symbolized Odin's mind and thoughts, and thus, they were associated with the ability to foresee the future. The association of crows and ravens with the ability to foresee the future is common in the superstitions of both the ancient Greeks and Romans. Both cultures considered crows and raven significant due, in part, to the fact that they practiced augury. Augury is a method of divination (telling the future) that uses birds. In the Greco-Roman world, soothsayers called "augers" would attempt to predict future events based on the color of birds or their flight. Crows and ravens were significant both for their ominous black feathers as well as their behavior and flight patterns. It was believed that if a crow or raven flew in from the east or south, for example, it was an omen of good fortune. Ravens and crows also appear often in the native cultures of North America. In addition to being portrayed as tricksters, the birds' intelligence is often a prominent feature in their characterization. In one Native American story, the raven is described a shape-shifter who stole a box of light held by the chief of Heaven and flew away with it. The raven dropped the box, and light broke into many pieces, creating the stars, the moon, and the sun. Other native cultures tell stories about the raven making the world more a more formidable place for mankind to give itself amusement. Still, other native cultures appear to have revered, if not worshipped, ravens. In the Alaskan tradition, for example, killing a raven was believed to bring upon a person great harm. In the American southwest, Native American tribes who engaged in the "Ghost Dance" religion to regenerate the earth decorated themselves with crow feathers, painted crows on their clothes and sang to the crows. Ravens have also been described as teachers, referencing again the birds' intelligence. The Hebrew Talmud, for example, says that ravens taught man how to deal with death. Similarly, a raven teaches Adam and Eve how to bury Able after he was murdered by Cain because they had never buried a body before. And the Raven, never flitting, still is sitting, still is sitting, On the pallid bust of Pallas just above my chamber door; And his eyes have all the seeming of a demon's that is dreaming, And the lamp-light o'er him streaming throws his shadow on the floor; And my sould from out that shadow that lies floating on the floor, Shall be lifted - nevermore! On August 21, 2017, much of North America will witness a relatively rare phenomenon: a solar eclipse. The last time North America saw a solar eclipse was in 1979. After this year, North America will not see one again until 2023. However, this year's eclipse is special because it will cross the U.S. from coast to coast. The last time that happened was in 1918. As one might expect, eclipses, both solar and lunar, have been the subject of much myth and superstition. To ancient peoples, the sun was a constant, predictable force in their daily lives. Many (if not most) ancient cultures worshipped the sun or had a god devoted to the sun. When solar eclipses occurred, they struggled to explain what was happening. In most (though not all) instances, solar eclipses were viewed as a bad omen, a time of great turmoil and disturbance. For example, the ancient Greeks believed that a solar eclipse was a sign of angry gods and that it marked the beginning of disasters. Many cultures sought to explain solar eclipses by reference to mythical animals devouring the sun. In Vietnam, for example, people believed that a giant frog devoured the sun; the Vikings believed it was wolves. Some Native American cultures believed it was a giant bear. In ancient China, a celestial dragon was responsible for eating the sun. In fact, the oldest known word for an eclipse comes from China - chih or shih - which means "to eat." Perhaps, the most unusual myth about solar eclipses involves the Hindu demon Rahu. Rahu disguises himself as a god so that he can taste a nectar that grants immortality. The sun and the moon spy Rahu and tell Vishnu. Vishnu cuts off Rahu's head, and it goes flying across the sky, consuming the sun and the moon. Because they tended to be viewed as disruptive events, predicting solar eclipses became an important skill to ancient people. Existing records show that the Chinese and Babylonians were able to predict solar eclipses as early as 2500 BCE. Even today, some cultures continue to view solar eclipses as a dangerous time. 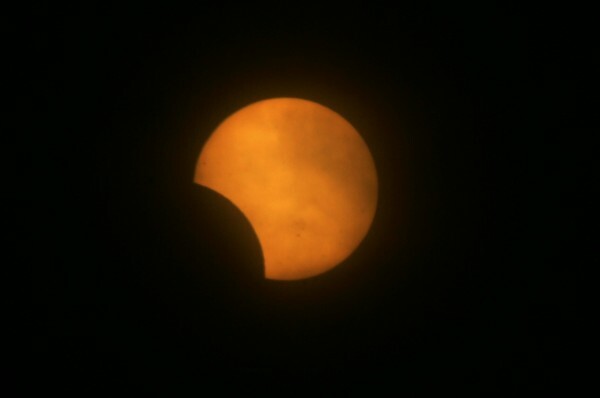 Some believe that solar eclipses are dangerous for pregnant women and unborn children, so pregnant women are encouraged to stay indoors during a solar eclipse. This past Friday was Friday the 13th, a day that casts fear and dread in the hearts of some 17 to 21 million people just in the United States. Some people are so fearful of this day that they develop a phobia about it - triskaidekaphobia. People who suffer from triskaidekaphobia may refuse to transact any business on Friday the 13th, go to work, or even venture out of their homes on Friday the 13th because of the belief that it is such an unlucky day. Where does such a profound fear originate? Why does it endure even in our modern age? How does it manifest itself in the world around us? Many theories attempt to explain the origin of the belief that Friday the 13th is an unlucky day. One theory suggests that the belief is rooted in the Bible. For instance, it is well known that Jesus was crucified on a Friday, making that day particularly ominous among the weekdays. 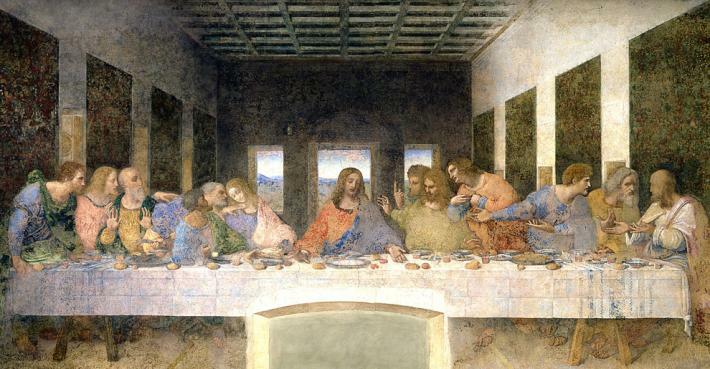 In addition, Judas, Jesus' betrayer, has traditionally been considered the 13th guest at the Last Supper. 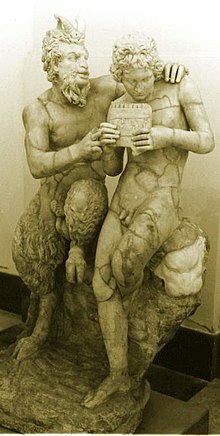 Some biblical scholars also believe Eve tempted Adam on a Friday, and that Cain slew Abel on Friday the 13th. The 13th Psalm in the Bible also concerns wickedness and corruption. However, others suggest an even older origin. The ancient Romans cursed the number 13 due to their belief that witches gathered in covens of 12 members; the 13th member of their group was the Devil. So did the ancient Persians who believed that chaos would reign in the 13,000th year. Moreover, according to Norse legend, the Viking gods hosted a huge feast at which 12 gods attended. Loki, the trickster god, showed up uninvited as the 13th guest and tricked one of the other gods (the blind god Hoor) into killing Balder the Beautiful (the god of joy and gladness) with a mistletoe-tipped spear. As the story goes, when Balder was slain the Earth fell into darkness and mourning. A very unlucky day, indeed. More modern explanations include the killing of the Knights Templar, which occurred on Friday the 13th in the year 1307. It certainly was an unlucky day for them. In addition to historical references supporting the belief that Friday the 13th is an unlucky day, numerologists also believe that 13 is an unlucky number. 12 is viewed as a "complete" number because there are 12 months in a year, 12 signs of the zodiac, 12 gods of Olympus, 12 labors of Hercules, 12 disciples of Jesus, 12 tribes of Israel. You get the picture. 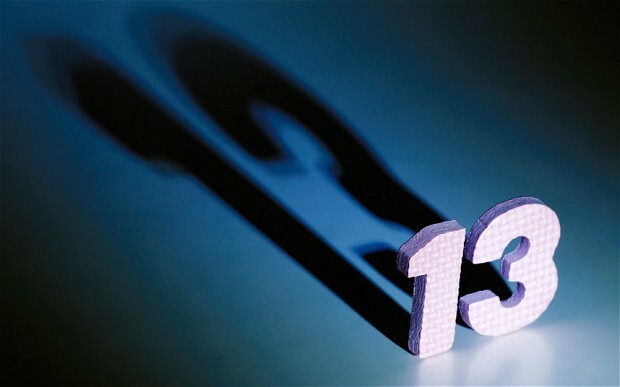 13 is viewed as being outside of this "completeness," and therefore, an unlucky number. For the numerologists out there, you may have noticed that this year's Friday the 13th was even more unique than in year's past. Consider the fact the calendar date was 1/13/17. 1+1+3+1+7=13. Spooky, right? Other superstitions echo this belief in the unlucky nature of 13. For instance, there is an old superstition that, if you have 13 letters in your name, you are cursed. Sounds silly, right? But consider this - Charles Manson, Jack the Ripper, Jeffrey Dahmer, Theodore Bundy, and Albert De Salvo all have 13 letters in their names. Adolf Hitler was born Adolfus Hitler...13 yet again. Whatever its origins, the belief that Friday the 13th is an especially unlucky day endures in spite of our modernity, and the belief manifests itself in the world around us. Because so many people refuse to transact any kind of business on Friday the 13th, U.S. businesses lose almost $1 billion - that's with a "b" - every Friday the 13th. 80 percent of all high-rise buildings in the U.S. do not have a 13th floor. Hotels and hospitals frequently do not have a Room 13. Many airports do not have a Gate 13. So is there anything to all of this uproar over Friday the 13th. Probably not. It is a conflation of beliefs in the unluckiness of Friday and the unluckiness of the number 13. Put together, the two are a powerful combination for those who are superstitious or have a tendency to believe that fate is a matter of luck rather than free will or determination. For instance, many consider Dan Marino, quarterback for the Miami Dolphins to be one of the best quarterbacks who never won a Super Bowl. Guess what his jersey number was...13. For those who suffer from triskaidekaphobia, the fear of Friday the 13th is all too real, and it can be crippling. Those folks are breathing a sigh of relief that we are past Friday the 13th...for now. Only one more to go this year - Friday, October 13, 2017. Good luck! 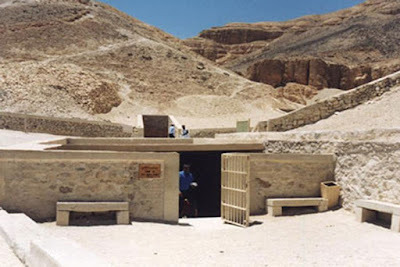 In 1922, Howard Carter discovered the entrance to the tomb of King Tutankhamen, the "boy king" of Egypt's 19th Dynasty. Tutankhamen - "Tut" for short - ruled Egypt for only 10 years. He died in approximately 1324 BCE. When Carter peered inside the tomb, his benefactor, Lord Carnarvon, asked, "Can you see anything?" Howard famously replied, "Yes, wonderful things." According to Egyptian officials, King Tut's tomb may not yet have given up all its secrets. Based on infrared scans of the tomb, archaeologists confidently believe they have discovered a hidden chamber behind the north wall of Tut's burial chamber. For reference, the map below shows the layout of King Tut's tomb. As if the discovery of a secret chamber inside King Tut's tomb was not, by itself, tantalizing enough, Nicholas Reeves, a professor of archaeology at the University of Arizona, believes the hidden chamber is the final resting place of none other than Queen Nefertiti. Nefertiti remains one of Egyptian history's most famous figures. 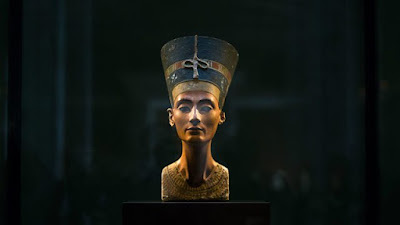 In life, Nefertiti was known not only for her striking beauty as shown by the well-known bust below, but also because she ruled alongside her controversial husband, the pharaoh Akhenaten, who regarded as the "Mistress of Upper and Lower Egypt." In death, Nefertiti has proven to be elusive. Despite past claims to the contrary, her remains have never been found. If she is discovered interred in King Tut's tomb, the find would be one of the greatest archaeological discoveries of all time. Discovering Nefertiti inside King Tut's tomb would also raise interesting and provocative questions about the tomb itself. 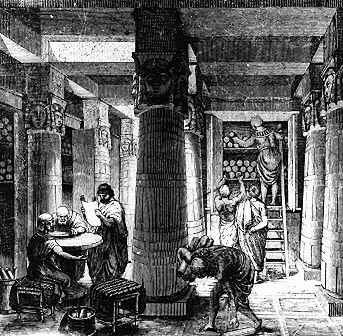 According to am article in the New Yorker, when Howard Carter first descended the stairs into King Tut's tomb, he did not think the tomb was very kingly, despite the fact it was filled with treasure. For example, relative to other pharaohs' burial chambers, Tut was laid out in a small room. Moreover, the room was oriented to the right of the tomb, not to the left as was customary at the time. Facts such as these lead some archaeologists - including Reeves - to suspect that the tomb may, in fact, have been constructed for Nefertiti, with Tut laid to rest in it as an afterthought when the "boy king" died suddenly and unexpectedly at age 19. "If I'm wrong, I'm wrong," Reeves has said of his theory. "But, if I'm right, the prospects are frankly staggering." Others urge caution. They point out that, even if there is a hidden chamber inside the tomb, the chamber might house another mummy, contain more treasure, or simply be empty. For now, Reeves' theory - far more tantalizing than an empty room - has lit up the Internet and excited Egyptophiles around the globe. You can read more about this story at the links provided below.